The Charles & Colvard® family consists of an exclusive group of fine jewelry and gemstone lovers who have discovered The Most Brilliant Jewel in the World®. As a member of the Charles & Colvard® family, we want you to enjoy, with confidence, your genuine Charles & Colvard Created Moissanite® gemstone and/or jewelry piece. Inside each box, you will find your Charles & Colvard® Certificate of Authenticity and Limited Lifetime Warranty information. We are happy to welcome you to our family! As the sole source worldwide of Forever Brilliant, Charles & Colvard provides this Limited Lifetime Warranty of your Forever Brilliant jewel(s) for maintaining its brilliance and color, subject to the terms set forth below. In the unlikely event the optical properties of brilliance and/or color alters in a Forever Brilliant jewel(s), the jewelry, along with the original sales receipt and this warranty card, must be returned to the retail place of purchase. Please note that jeweler costs to reset any replacement Forever Brilliant jewel(s) may apply. If you have any questions, please contact Charles & Colvard at 1-800-210-GEMS and a customer service representative will assist you. This warranty applies only to the original purchaser and is non-transferable. This warranty does not cover damage as a result of abuse, misuse, loss or theft of your Forever Brilliant jewel(s). 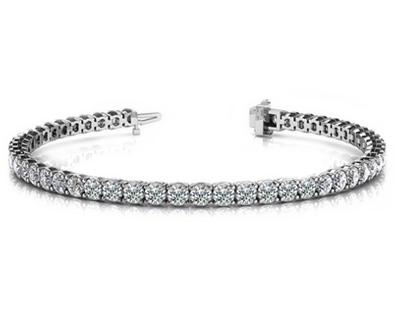 Charles & Colvard does not endorse or approve any third-party alterations or treatments to Forever Brilliant jewels. Such processes may be temporary and could lessen the durability and value of Forever Brilliant jewels. Accordingly, any third-party alterations or treatments void the Charles & Colvard Forever Brilliant Limited Lifetime Warranty that accompanies each Forever Brilliant purchase. This warranty gives you specific legal rights and you may have other rights which vary from state to state. This warranty applies in the United States and may vary in other countries. © 2014 Charles & Colvard, Ltd., All Rights Reserved. As the sole source worldwide of moissanite, Charles & Colvard provides this Limited Lifetime Warranty of your Charles & Colvard Created Moissanite jewel(s) (“moissanite jewel(s)”) for maintaining its brilliance, subject to the terms set forth below. In the unlikely event the optical property of brilliance alters in a Charles & Colvard Created Moissanite jewel(s), the jewelry, along with the original sales receipt and this warranty card must be returned to Charles & Colvard, Ltd., 170 Southport Drive, Morrisville, NC 27560. 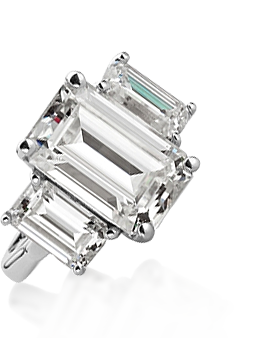 In addition to the Limited Lifetime Jewel Warranty, we warrant the mounting for your Charles & Colvard Created Moissanite jewelry against all defects in material and/or workmanship. We will repair or replace your mounting without charge for any defects that are found within 12 months from the date of purchase. Shipping charges may apply. This warranty applies only to the original purchaser and is non-transferable. This warranty does not cover damage as a result of abuse, misuse, loss or theft of your Charles & Colvard Created Moissanite. 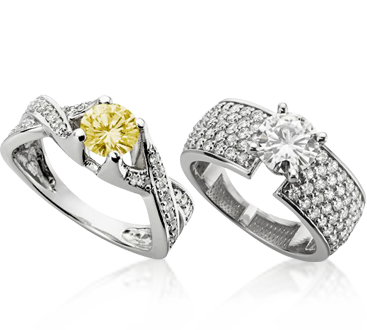 Charles & Colvard does not endorse or approve any third-party alterations or treatments to Charles & Colvard Created Moissanite jewels. Such processes may be temporary and could lessen the durability and value of Charles & Colvard Created Moissanite jewels. 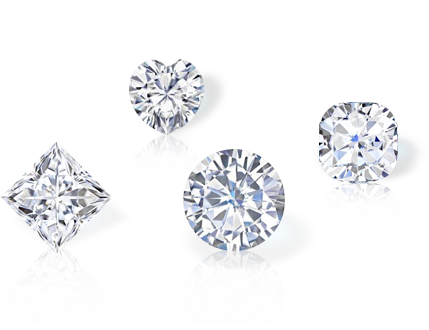 Accordingly, any alterations or treatments void the Charles & Colvard Limited Lifetime Warranty that accompanies each Charles & Colvard Created Moissanite purchase. This warranty gives you specific legal rights and you may have other rights which vary from state to state. This warranty applies in the United States and may vary in other countries. © 2014 Charles & Colvard, Ltd., All Rights Reserved. As the sole source worldwide of moissanite, Charles & Colvard provides this Limited Lifetime Warranty of your Charles & Colvard Created Moissanite jewel(s) (“moissanite jewel(s)”) for maintaining its brilliance, subject to the terms set forth below. In the unlikely event the optical property of brilliance alters in a Charles & Colvard Created Moissanite jewel(s), the jewelry, along with the original sales receipt and this warranty card must be returned to the retail place of purchase. 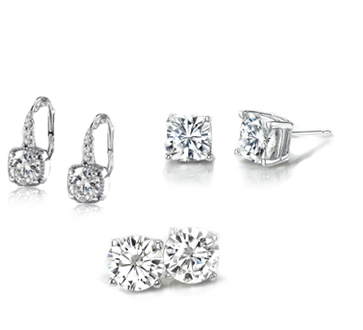 Please note that jeweler costs to reset any replacement moissanite jewels may apply. If you have any questions, please contact Charles & Colvard at 1-800-210-GEMS and a customer service representative will assist you. This warranty applies only to the original purchaser and is non-transferable. This warranty does not cover damage as a result of abuse, misuse, loss or theft of your Charles & Colvard Created Moissanite. Charles & Colvard does not endorse or approve any third-party alterations or treatments to Charles & Colvard Created Moissanite jewels. Such processes may be temporary and could lessen the durability and value of Charles & Colvard Created Moissanite jewels. Accordingly, any third-party alterations or treatments void the Charles & Colvard Limited Lifetime Warranty that accompanies each Charles & Colvard Created Moissanite purchase. This warranty gives you specific legal rights and you may have other rights which vary from state to state. This warranty applies in the United States and may vary in other countries.